Here in North Texas we are fortunate enough to have a 12-month growing season with mild winters. While we spend a lot of time focused on how to keep our summer lawns healthy, we actually can grow cool-seasons grasses for more months of the year. Warm season grasses, such as Bermuda and St. Augustine typically turn brown during winter months. You might wish you could turn all that brown to green – and you can, sometimes, with overseeding. Does green grass all winter appeal to you? If so, be sure your warm season lawn can handle it and you don’t mind winter lawn maintenance. While we can’t grow grasses typically grown up North during the warm season in our summer lawns (such as Fescue) we can grow them from fall through spring when our temperatures are cooler. To enjoy a green lawn year round, a common practice here in North Texas is to overseed a warm season lawn with a grass variety that grows better in cooler temperatures. But even though we can have a green grass through winter, is it worth the risk to our warm season lawn? How should you decide? If you have healthy, thriving Bermudagrass, and you don’t mind watering and mowing weekly all the way through winter, then overseeding is a good option for keeping a lush green lawn year-round. Bermudagrass is easier to overseed, due to its fine leaf blades, as well as it ‘s very deep and vigorous root system. Competition with the winter grass doesn’t set it back much. Though we do recommend to let your Bermudagrass take a breather every couple of years to give it a chance to recover from the competition of the cool season grasses. Do you have bare spots in your lawn that need patching, or weeds and muddy puddles in the lawn? Perhaps you have an easement or other shady area that can’t sustain warm season grass or you need to control soil erosion. Overseeding these areas in fall is also a good option. If your lawn is made up St. Augustine grass, then it will be less tolerant of overseeding. Cool-season grass seeds need good contact with soil to germinate and grow proper roots. 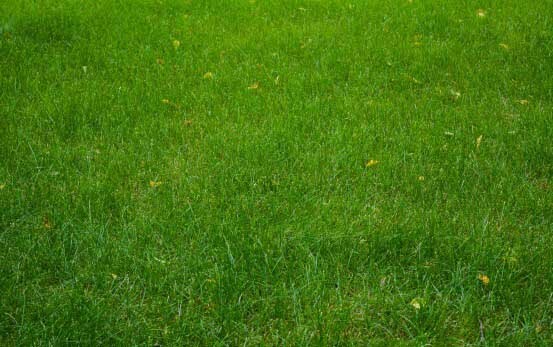 St. Augustine grass grows in such a way that overseeding would require the lawn to be scalped, which will damage the growing crown of St. Augustine grass. Also, because St. Augustine is susceptible to Brown Patch, TARR and other fungal diseases, watering your cool season lawn through winter means you’re probably over-watering the St. Augustine and breeding fungal diseases. St. Augustine also doesn’t tolerate the root and nutrient competition with cool-season grass very well and will decline if you reseed it repeatedly. Also, know that overseeding will take some extra water, both to germinate the seed and for occasional maintenance in winter. To germinate your cool-season grass properly, you’ll need to run sprinklers for about 30 seconds to one minute at a time 3-6 times per day until germination occurs. This usually takes about 7-10 days. After seeds germinate, you’ll need towater one to two times a day to keep the seedlings from drying out. After that, your overseeded lawn will need water twice per week for the next two weeks. Once your “winter lawn” is established, you’ll have to provide supplemental water when natural rainfall isn’t present. Complete this sentence… Mowing is ____________. If you answered “fun” then by all means, overseed! WIth green grass growing all winter, you’ll be mowing weekly. If you don’t like mowing, or want to cut back on your winter lawn maintenance services, then skip the overseeding. If you’ve decided overseeding this year is a good choice, then be sure to do it the right way. Follow our Guide to Overseeding with Ryegrass.